By capitalizing the skills of our experts, we are able to provide quality approved range of Salt Packing Machine to our esteemed customers. 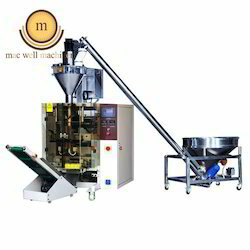 This salt packing machine is develop and manufactured at ultra-modern unit using the excellent quality components and leading-edge technology as per the set quality norms and standards. We never compromise with the product quality and deliver our assignments in a within time frame for gaining maximum customers satisfaction.